Another name is Wat Klang Mueang. Wat Hua Wiang is on Sihanatbamrung Road next to the morning market. Built in 1863, the temple houses the Phra Chao Pharalakhaeng, a Buddha statue dressed in beautiful attire. It is a replica of a major statue in Mandalay, Myanmar. 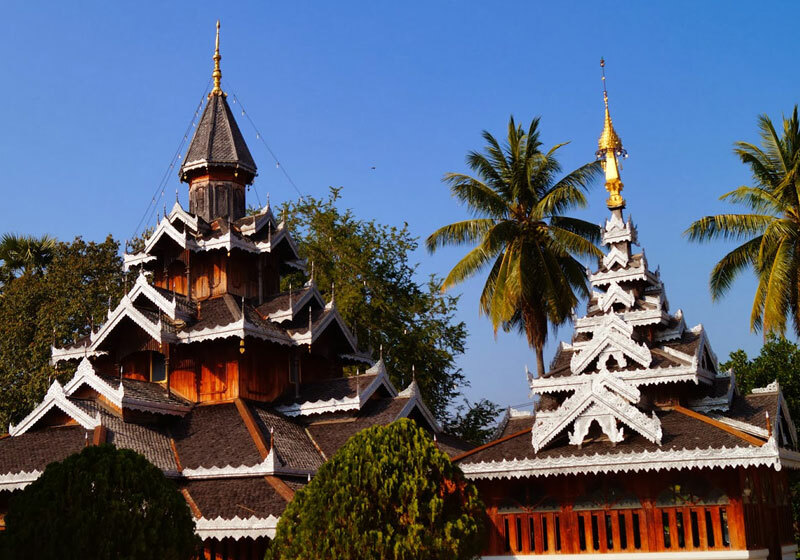 Short Description: Wat Hua Wiang is located at no. 15, on Singhanat Bamrung Road in Chong Kham Sub District, Muang District, Mae Hong Son Province. The temple is next to Muang Mae Hong Son municipal market.